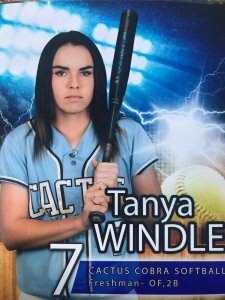 Tanya Windle of Cactus High in Glendale Arizona went 16-for-18 last week and helped her team to a 4-1 record. Photo: Ed Russell Photography. 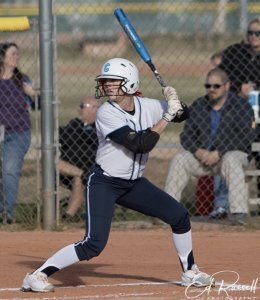 We announce this week’s Extra Inning Softball National High School Player of the Week awards by honoring a player who hit an astounding .889 in one of the top preseason high school tournaments of the year. 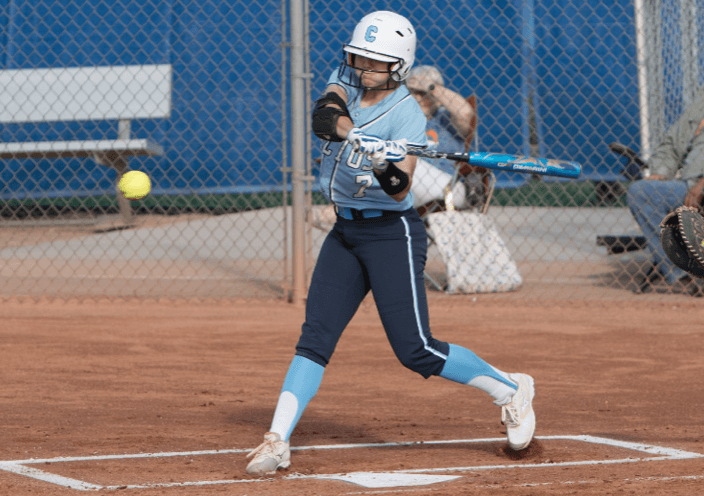 There’s being on fire, being in the zone and being perfect at the plate and Tanya Windle, a freshman centerfielder and second baseman for Cactus High in Glendale, Arizona was close to being all three last week. Tanya went 16-for-18 during the week—an .889 batting average—with four doubles, eight RBIs and five steals in a stretch that included getting 12 hits in a row. Perhaps most impressively, all five of the six games were in the prestigious Tournament of Champions high school tournament held in Bullhead, Arizona. The freshman went 3-for-3 against Greenway High in the only non-TOC game of the week and the in the event went 3-for-3 against Millink, 3-for-3 against Basic, 3-for-4 versus Foothills, 2-for-2 against Gila and 2-for-3 against Verrado. Did she feel like she was unstoppable with the bat in her hands? Tanya slides into second; she had four doubles last week. Photo: Ed Russell Photography. Most importantly, she feels, she helped the team go 4-1 in the TOC and run its current record to 9-1 in the always competitive Arizona high school ranks. After 10 games she is batting .688 with 22 hits in 10 games as the team’s starting centerfielder. Cactus High will next play on Wednesday in the Desert Mountain Tournament which will extend into the weekend. During the non-high school season, Tanya plays for the Arizona Rambles – Brun and Athletics – Mercado/Devers club teams. “I get the best of both worlds because I have learned so much from each coach,” the Class of 2022 hitting phenom explains. “Kara Brun is an Olympic Gold Junior Medalist as well as an All-American shortstop for ASU. She has been around in my softball career for as long as I can remember and has taught me so much on and off the field not only as an athlete, but as a person. Chris Devers has helped by teaching the toughness part and being able to speak up. He taught me how to have courage to talk to a coach without fear." 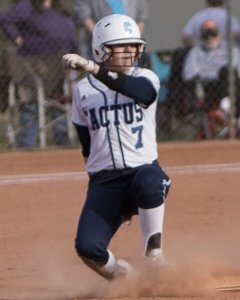 And she gives a special thank you to her high school head coach and hitting instructor Bart Underwood who she says has been a major part of her success, as the statistics certainly indicate in the team and individual accomplishments. Off the field, the teenager says she likes to go to the mall and “shop for cute clothes” and play the ukulele. In college, she would like to study to be an athletic trainer. A common sight last week: bat about to connect with ball! As for college, she attended the Arizona Elite camp in January and one held by Grand Canyon, the team that upset Florida State last week, in November. She’s been an all-star in PGF and Zoom Into June events. One thing she says has helped her hitting take off is spending time in a batting cage… all the way in her backyard. Camryn Wincher of Dobie High in Houston, Texas had a big game against defending state champion Atascocita High. 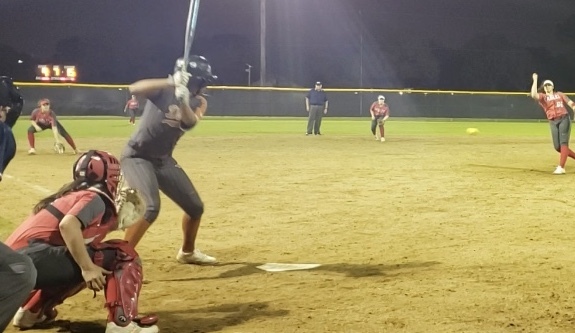 * Camryn Wincher, the 2020 Extra Elite 100 infielder from Dobie (Houston, Texas) High continues to stack up big numbers as she went 5-for-7 with nine RBIs for the week including five runs batted in against defending 6A state champion Atascosita High. The Michigan State commit is now batting .600 for the year with two home runs, 34 RBI and 12 walks. * Trinity Cannon, a junior pitcher who was an Extra Inning Softball All-American last year at Fornery (Texas) High had a big week at the plate. 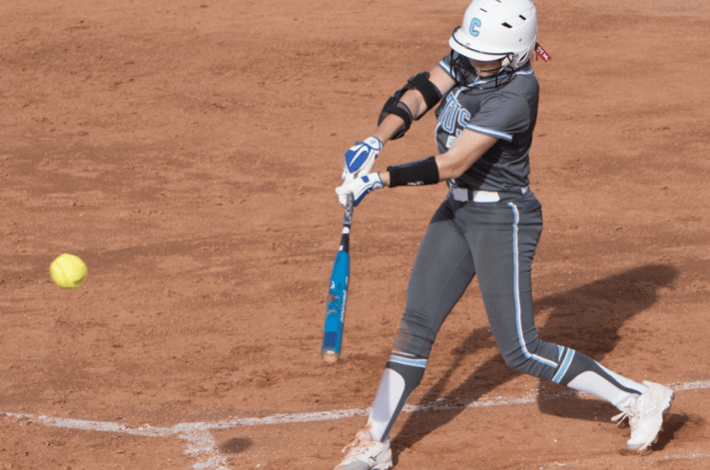 The Texas A&M commit led her team to a pair of wins and only had two at-bats in each game but made the most of them as she went 4-for-4 with three home runs and a double with 10 RBIs and four runs scored. 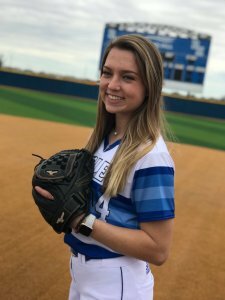 * Junior pitcher Jessica Mullins of Barbers Hill (Mont Belvieu) is having a dominating 2019 in the circle as she has helped her team to a 21-2 record as she’s faced 174 batters in 48 innings and struck out 93 of them but hasn’t allowed an earned run all year and limited opponents to a 0.107 batting average. * Ashlee Laver, a senior pitcher for Woodbridge High in Irvine, California, threw two shutouts (last Tuesday and Saturday) and struck out 17 while giving up just six hits. The talented hurler is headed to Hawaii Pacific University. Each week during the spring and summer high school seasons, Extra Inning Softball will honor a National High School Player of the Week. The honoree will be announced every Monday night/Tuesday morning; cutoff for submitting the nominations is each Sunday at 11 pm EST/8 pm PST. Email your info and photos (1-4 as available) by the cutoff of Sunday 11 pm EST/ 8 pm PST to: info@extrainningsoftball.com.